All is clear now! it was the Klingons on an off day! hehe. 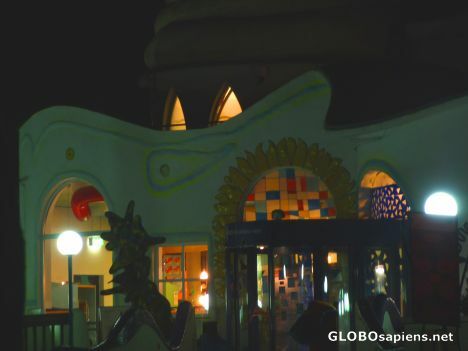 It was designed by an Austrian architect in a tradition created by the Austrian artist with the nice name Friedensreich Hundertwasser (1928 - 2000). Aha! he was an early Klingon then hehe.